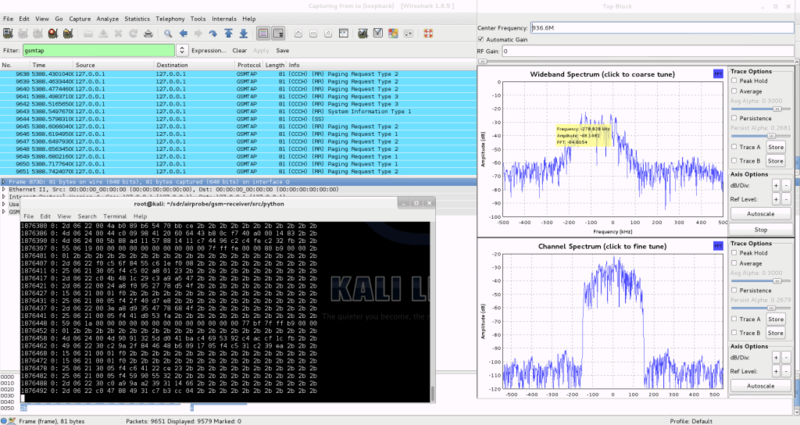 Over a year ago we wrote a tutorial on how to analyze GSM cellular phone signals using a RTL-SDR, a Linux computer with GNU Radio, Wireshark and a GSM decoder called Airprobe. With this combination it is possible to easily decode GSM system messages. Setting up Airprobe is can be difficult as it is unmaintained and incompatible with the new version of GNU Radio without patches. Now a new software package called gr-gsm has been released on GitHub which seems to be a newer and improved version of Airprobe. 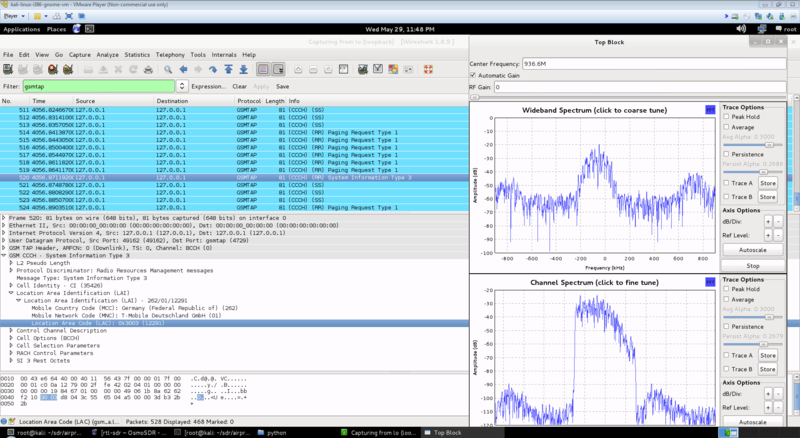 The gr-gsm software is also much easier to install, uses the newer GNU Radio 3.7 and seems to decode the system data with much less trouble than Airprobe did. We will soon update our tutorial to use gr-gsm, but the instructions on the GitHub are already quite good. The author of gr-gsm also appears to be actively adding new features to the software as well. The video below shows gr-gsm in action. A while back we did a small write up on receiving and analyzing cellular GSM signals with the RTL-SDR. Now blogger Domi has taken it further and has done an excellent big write up on his blog showing how to receive, decode, and also decrypt your own cell phone GSM signals with the RTL-SDR. Domi’s big write up is split into four posts. It starts with an introduction to GSM, then focuses on setting up the environment and required software, then uncovering the TMSI (step to be released later), and then finally shows how to actually receive and decrypt your cell phone data such as voice and SMS messages.